Synopsis: Set in France during the mid-1970s, a former dancer, and her husband travel the country together. They seem to be growing apart, but when they linger in one quiet, seaside town they begin to draw close to some of its more vibrant inhabitants, such as a local bar/café-keeper and a hotel owner. Thoughts: I was really looking forward to Angelina Jolie’s big screen adaptation of Unbroken and while the film hit most of the right notes, it failed to hit the most important one in my book…resonance. I was strangely unmoved by the heroic tale, and I think it was partly Jolie’s fault in how she assembled the film and partly the fault of a screenplay that only told part of the story. For her third trip behind the camera, Jolie (Maleficent) is taking on directing, writing, and acting duties…and bringing her husband…some bloke named Brad Pitt (World War Z) along with her. I gotta say, this has a very Eyes Wide Shut feel to it but working on a smaller scale may be the key to unlocking Jolie’s directorial talents and it will intriguing to see it the Jolie-Pitt match-up results in the same chemistry they found a decade ago in Mr. and Mrs. Smith. 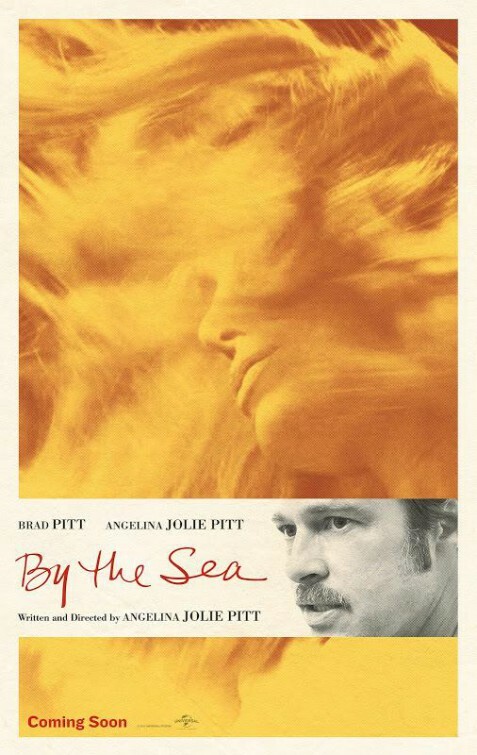 This first teaser for By the Sea is a nice appetizer that satiates instead of filling you up. Review: After Prisoners became one of my favorite films of 2013, I could not have been more on board for this second pairing of star Jake Gyllenhaal and director Denis Villeneuve. Actually, Enemy is really their first project together because it was on this film the two began discussing joining forces on the dark kidnapping mystery. Though I find Prisoners to be the superior of their two collaborations, Gyllenhaal & Villeneuve have cooked up a patience testing mystery that may not be your cup of tea but was fine red wine to me. Based on Portuguese writer José Saramago’s 2002 novel The Double and reminiscent of Brian De Palma’s 1973 thriller Sisters, Enemy finds Gyllenhaal (End of Watch) in sullen form as a college professor going about the routine of someone that’s settled in for an unfulfilled life. He goes to work, comes home to his barely furnished apartment, and often spends the night with a woman (Mélanie Laurent) that rarely stays the night. One day a random colleague makes an even more random movie suggestion and what Gyllenhaal sees on in the movie is someone that looks an awful lot like him…setting into motion a tricky mystery with layers upon layers to uncover and can’t be revealed here. What I can say is that the movie holds its cards so close to its chest that it will be difficult for some to accept that not everything has (or deserves) an answer/explanation. Making good use of its Canadian setting (Toronto has never looked so foreboding even in the beige tones and glowing amber palette Villeneuve and cinematographer Nicolas Bolduc employ), Enemy started to feel like a Where’s Waldo book after a while as I sought meaning in almost everything seen on screen. Doing the same when you see the movie (and you should) would be a mistake because you’ll may miss Gyllenhaal’s rich performance and good supporting work from the intriguing Sarah Gadon and Isabella Rossellini who pops up in a role that sets the movie on its ear in such a way that it would make David Lynch drool. You’ll hear a lot about Enemy’s ending and it’s admittedly a doozy of a WTF moment that left me impressed with its moxie rather than baffled at its meaning. At a trim 90 minutes, the film flies by so that when the ending does come it’s a shock in its execution and that the film has run its course. Worthy of your time and your intelligence, this is one to take you identical twin to. Thoughts: It was on the set of Enemy that star Jake Gyllenhaal and director Denis Villeneuve discussed the A-list actor coming on board Villeneuve’s next project: 2013’s highly effective (and high up on my best of the year list) Prisoners. So even though it was completed first, Enemy is just getting ready for a release in early March. 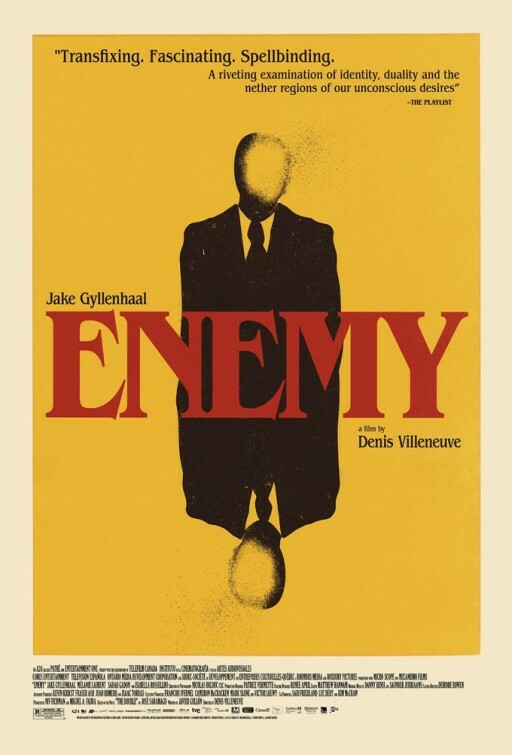 A much smaller film that the Hollywood studio-backed Prisoners, Enemy suggests another moody puzzle of a film the director seems to have such a knack for. 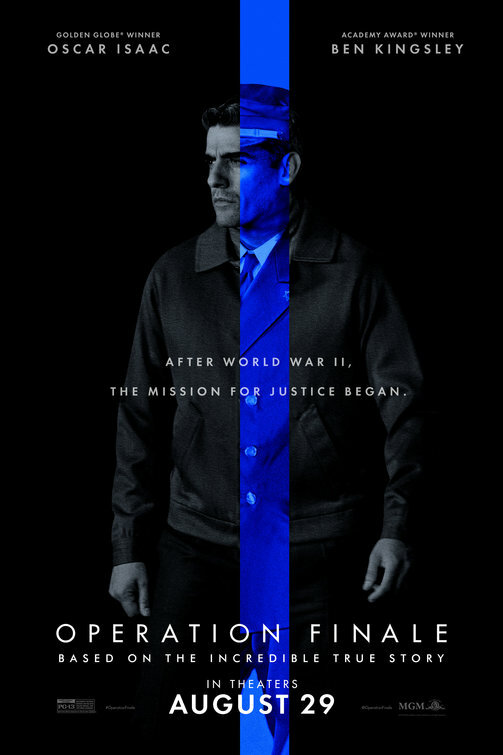 I wasn’t always the biggest Gyllenhaal fan but he’s taken on some dynamite roles in the last few years (see End of Watch if Prisoners didn’t convince you) and I’m getting a friendly vibe from this first look at Enemy.